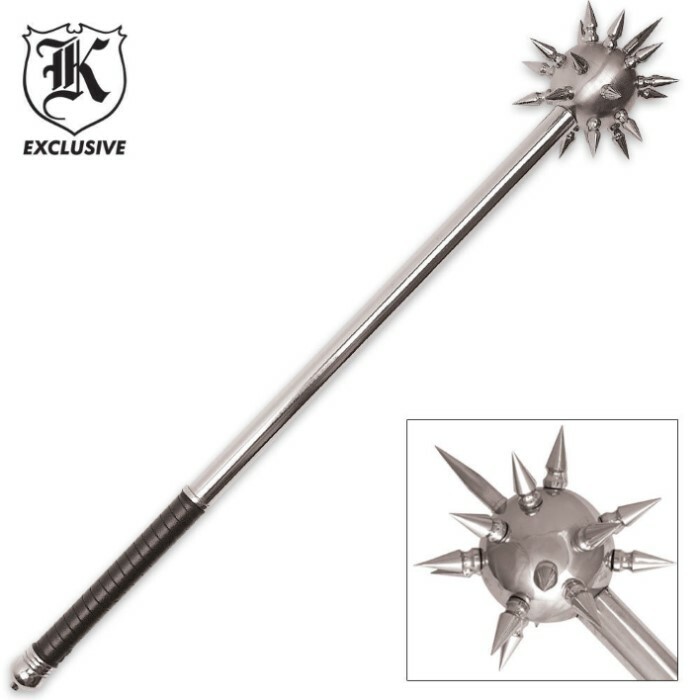 Middle Ages Spiked Mace Club | BUDK.com - Knives & Swords At The Lowest Prices! You've never seen a mace like this wicked beast! It's the perfect length to deliver devastating blows at medium to short range. 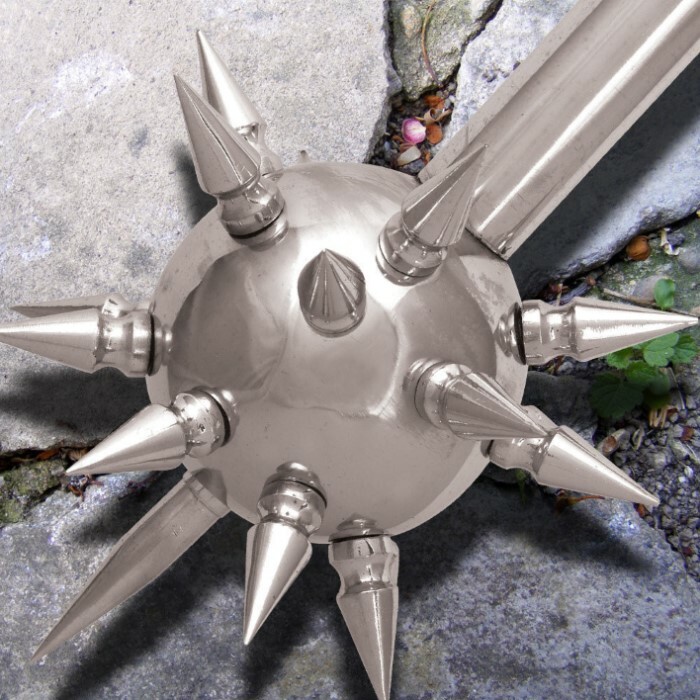 It has removable stainless steel spikes and a leather wrapped handle with a skull-crusher pommel. It is 35" in overall length.